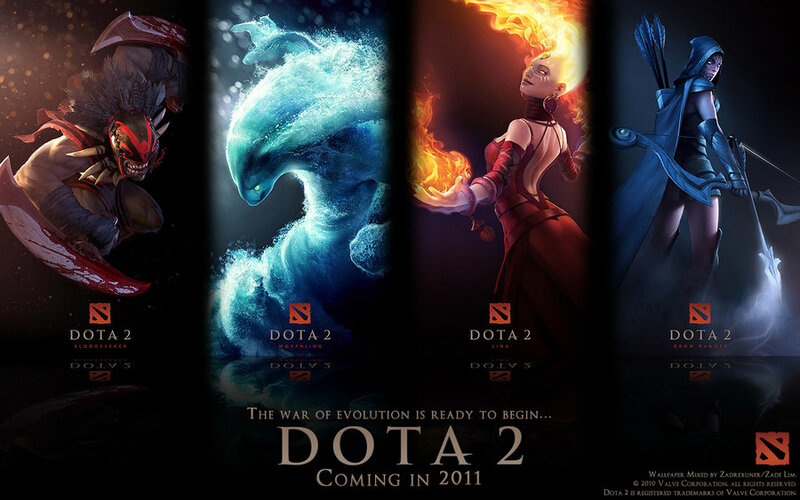 Finally, after so many speculation and rumors, the DotA 2 is now officially announced! As the Game Informer mentioned, the game will be released next year on both PC and Mac platform. 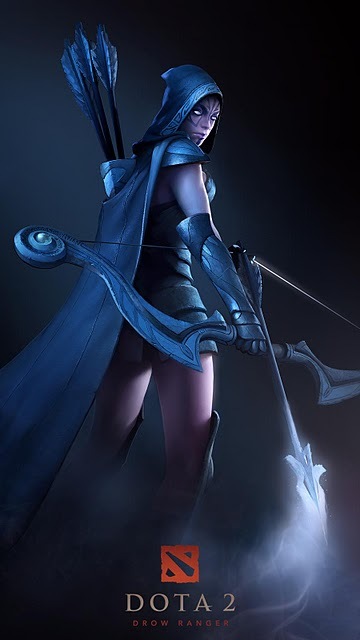 Much like the original Defense of the Ancients title, Dota 2 combines the real-time strategy element of traditional perspective projection, while also incorporating the leveling and itemization system of a role playing game. Players assume the role of a unit categorized as a "hero", which can be leveled up to a maximum level of 25. The basic setup of Dota 2 places two strongholds with "ancients" at opposing ends of an evenly-balanced map with multiple connecting regions identified as "lanes", in which enemy units primarily traverse, while also combating powerful defensive towers along the way. 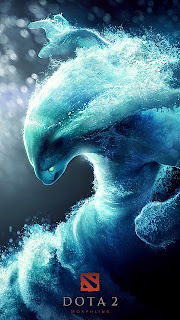 Players are split into two teams, ideally in a five-on-five or three-on-three format, to compete as the primary defenders for each ancient. The overall objective of each game is to battle through the opposing force's defenses, in order to arrive at and destroy the opponents' ancient. The towers and stronghold defenses are invulnerable to attacks so long as the farther distanced towers still stand. Periodically, groups of weaker infantry units commonly called "creeps" are spawned, which move along their lane until they reach an enemy unit or structure, which they will then attack. Defeating enemy forces grants a distributed amount of currency of gold to the offending team, with the greater portion being retained by the player who made the final blow. While also gaining gold, the players will gain experience as well, which accumulates to gain higher levels. The greatest proportion of gold and experience comes from destroying higher priority forces, such as enemy heroes and towers. Dota 2 will utilize Valve's Steam software in order to provide social and community functionality for the game. Steam accounts will save personal files and settings on the online accounts using the Steam Cloud. Dota 2 will also feature free-camera live spectating, in tradition of competitive Valve titles. The game host has the option to fill open slots with AI bots. Another option allows the host to determine if AI bots or other human players will be used to fill the vacated slot of a disconnected player. Valve is introducing a coaching system to allow for more experienced players to tutor new players. As the sequel to Defense of the Ancients, the development cycle of Dota 2 has been concentrated primarily upon fully transferring the aspects of its predecessor to the Source engine, as well as building upon the core gameplay. 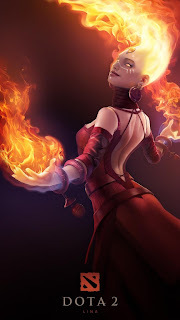 In the debut Q&A, IceFrog stated that Dota 2 will serve as the long-term continuation of the game, building upon the original gameplay without making too many significant core changes that might change the overall experience. Dota 2 will also remain completely based around instant action multiplayer activity, excluding a single-player campaign, but retaining a strong lore tied into the gameplay, including individual hero back-stories and vocal interactions in-game. Ventrilo is no longer needed. Communication is the vital factor on the teamwork and typing sometime is not an option because our hand is already full controling the hero. The DotA 2 will cover that and have an integrated voice chat feature which will allow you to communicate during game easily. NO MORE TYPING LOL! sampai skarang aku tak termain main lagi dota 2 ni..mana nak main ni? Hello, I check your blogs on a regular basis. Kisah Benar : Asal Usul Lagu Alhamdulillah by Too Phat! Kisah Benar Gay Malaya: "Ala Aku Couple Just Nak Cover Je..."
NOVEL TERPAKAI UNTUK DIJUAL ! Misi clearkan rak pun bermula..
Why Ur Holiday is Too Long??? Post pertama selepas 2 tahun tak buka blog. Macam mana nak tukar supervisor MYCPD staff kerajaan ? Rahsia di Sebalik Lirik Suci Dalam Debu dari Iklim? None of content is hosted on my server or otherwise related in any way whatsoever. Unless otherwise stated, all content is uploaded by and hosted on the servers of third-parties, so called Sharing Websites. In case of copyright infringement or any other issue, please directly contact the responsible parties. However, I strongly believes in the protection of intellectual property and would be willing to assist when possible and applicable. Users who upload to these websites agree not to upload illegal content. I does not accept responsibility for content hosted on third party websites, nor do I upload myself or encourage others to do so. The Links are streamed directly from the third-party video sharing services mentioned.